A woman was threatened and robbed by a man who bear hugged her as she walked along a Northampton road. The 24-year-old woman approached by the offender as she walked along Marriott Street in the direction of Barrack Road on Monday, May 25. He put her into a bear hug, threatened her and snatched her handbag before running off towards Hester Street. Police would like to speak to anyone who may have witnessed the incident between 9.30pm and 10.45pm, especially a family who were in the area at the time and who the victim sought help from after the robbery. 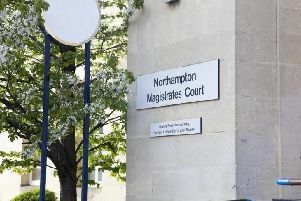 The offender has been described by police as a white man dressed in black clothing, including a hooded top, who was of thin build and around 5ft 7ins. Witnesses or anyone with information about this incident is asked to contact police on 101 or independent charity Crimestoppers anonymously on 0800 111 555.